Sammut, G. Attard (N. Attard), T.M.F. Dos Santos (J.M. 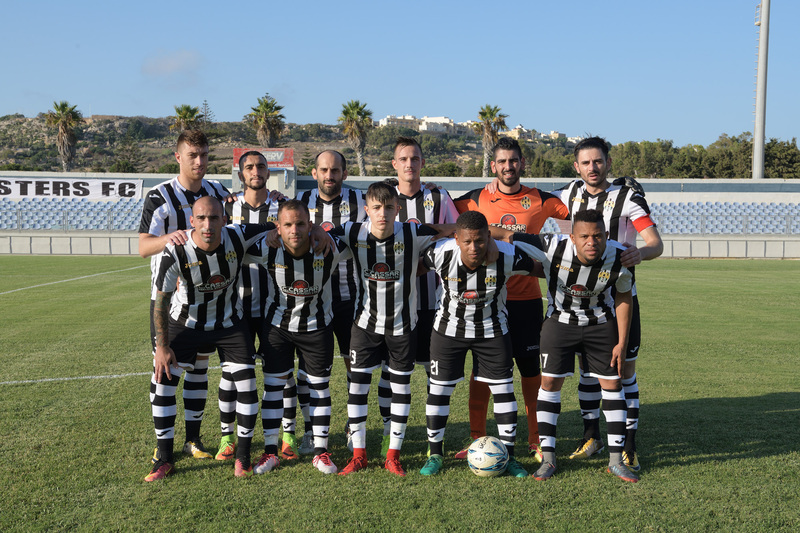 Portelli), J. Azzopardi, S. Saliba, K. Grima, K. Farrigia, A. Zammit, S. Curmi, A.T. Bezzina, O. Saliba (F. Cini). Buttigieg, J. Tabone, J. 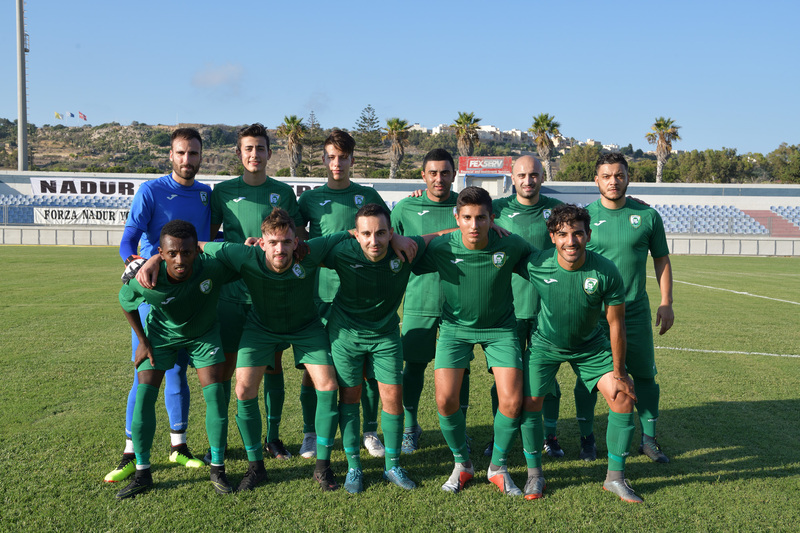 Polo Longarela, A. Oularbi, K. Mercieca (C. Dingli), C. Hili, D. Mercieca (W. Hili), A. Camilleri, N. Damba, L.A. De Melo Lima, I.N. Belhadj. Ghajnsielem scored five goals during the opener match of the Preliminary Round of the MFA The FA trophy 2018/2019 against Oratory Youths. The Blacks as expected dominated over the team from the second division of the GFA and the qualification was practically sealed during the first quarter of the encounter. Ghajnsielem’s debutant’s had a positive impact and the team confirmed the performances expressed during the last matches of the last season. On the other hand, Oratory Youths fielded a young squad that lacks the necessary experience and ended upon conceding play for most of the match. The Blacks opened the score in the fifth minute of play through a close ranged shot by Naby Damba following a short clearance by Oratory’s defence. Two minutes later Ghajnsielem doubled the score through a tap-in by Luis Andre De Melo Lima following an inviting pass by Naby Damba. 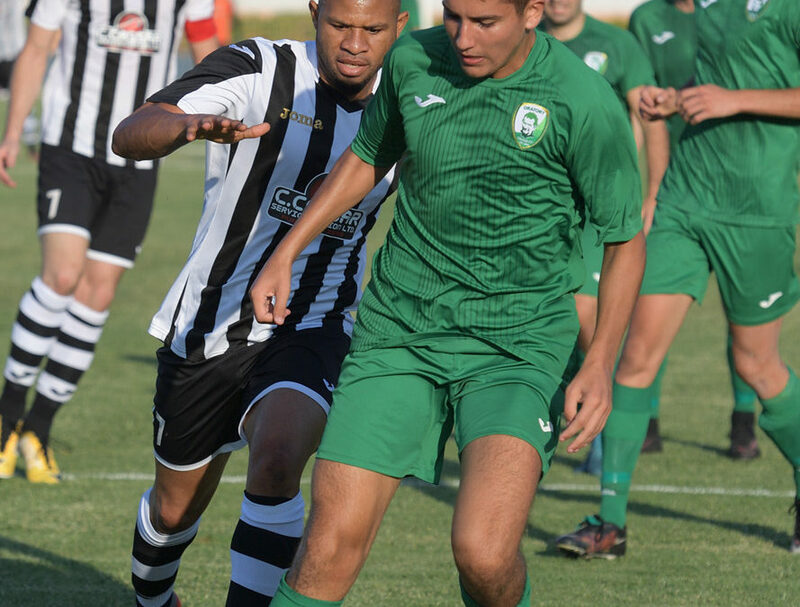 On 18 minutes Oratory’s keeper Richard Sammut was well placed to block a close ranged attempt by Luis Andre De Melo Lima and the defence cleared the danger form the area. However, on 19 minutes Ghajnsielem added another goal through Luis Andre De Melo Lima who concluded into an open goal following a personal action where he also avoided the goalkeeper. Oratory went close to scoring on 25 minutes but a header by Thiago Melo Dos Santos following a cross by Kersten Grima ended wide. On the half hour mark Luis Andre De Melo Lima scored the fourth goal when he netted with a low drive following another personal action from the right flank. The score became 5-0 six minutes from half time through a shot from close distance by Ibrahim Naim Behadj following another personal initiative by Luis Andre De Melo Lima. Luis Andre De Melo Lima continued to be a continuous threat to Oratory’s rear guard and scored his fourth personal goal on 52 minutes with a header following a cross by Ibrahim Naim Belhadj. 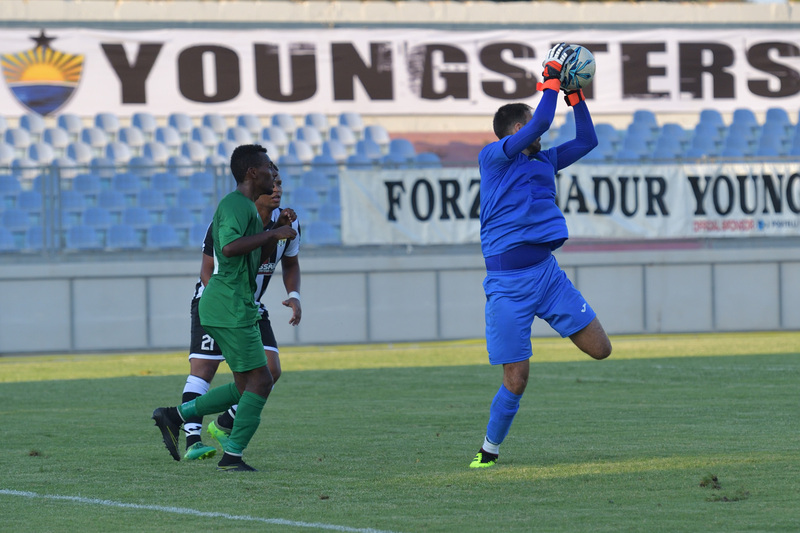 On 58 minutes Oratory’s keeper Richard Sammut failed to hold a low strike by Naby Damba and the ball ended in goal. The same goalkeeper however was well placed on 66 minutes when he made a good intervention to deny Antoine Camilleri from scoring when the striker was alone in the area. Two minutes later Ghajnsielem’s Luis Andre De Melo Lima was unmarked by Antoine Camilleri but the former had his attempt stopped by the post. Ghajnsielem sealed the win with the eighth goal that arrived on 83 minutes through a shot from outside the area by Luis Andre De Melo Lima. Oratory’s best opportunity to score a consolation goal arrived on 88 minutes but a shot by Kersten Grima ended just high.